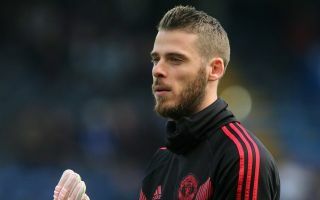 Manchester United are reportedly interested in the transfer of Atletico Madrid goalkeeper Jan Oblak as they line up a replacement for David de Gea. According to i News, United are looking at a number of potential ‘keeper signings, with Everton’s Jordan Pickford and Real Madrid’s Keylor Navas also options. Still, Oblak is surely the kind of name needed to replace a world class performer like De Gea as i News suggest he is heading for a transfer away in the summer. This is a huge blow for the Red Devils, for whom De Gea has arguably been the best player for the bulk of his Old Trafford career. Still, the club has gone backwards since Sir Alex Ferguson’s retirement and keeping hold of the Spain international now looks a huge challenge as he nears the end of his contract. This gives United little power in terms of negotiation, so it makes sense that they’re already beginning the search for De Gea’s replacement. Oblak seems ideal and i News claim he has a release clause of around £87million, which might well be worth paying for MUFC to ensure they don’t end up without a top class shot-stopper. Chelsea found themselves in a similar situation this summer as they were forced to sell Thibaut Courtois to Real Madrid as he entered the final year of his contract, spending big to sign Kepa Arrizabalaga as his replacement.